Those are the special few that are treasured and become more to the child than just a doll, they end up a true friend. So, is it possible to find one company that not only carries high quality, well made dolls for girls as well as boys, but also adds features or themes that allow them to grow and learn? There is. They're found from Nenuco, of course, the name known for their entire play world of dolls, accessories, outfits and more that educate and amuse children from two years and up. Nenuco, the creative and fun world from parent company Famosa, has been a favorite around here since our introductory Nenuco review last fall and the love definitely hasn't lessened. Everything from the little details to the high quality of our Sleep With Me Baby Doll & Cradle has resulted in it being reached for time and again. However, as baby dolls (and their owners) grow up, Nenuco has realized that their adventures do so as well. Therefore, their dolls come prepared to do everything from visiting the doctor to traveling in the car to heading to the spa... and now, going to school! 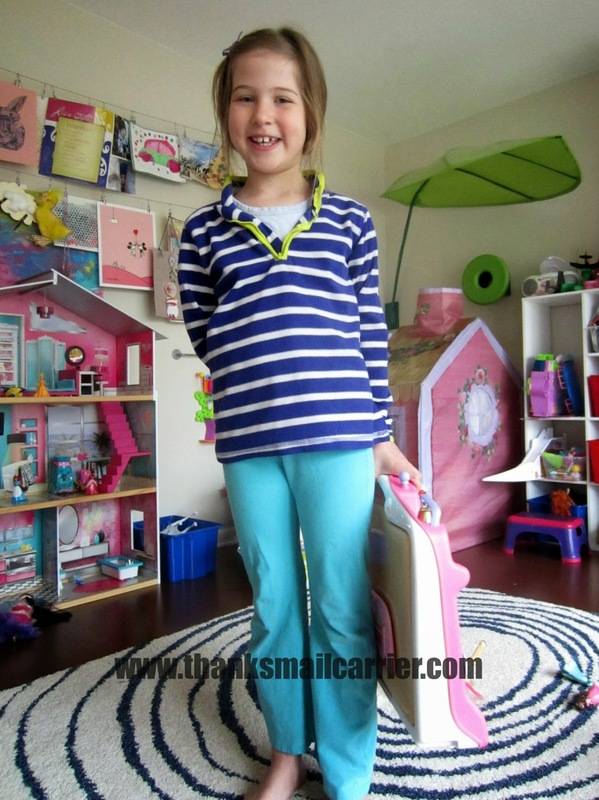 Big Sister E and Little Sister B adore playing school and pretending to be teachers, so they couldn't have been more excited about the arrival of Nenuco's new Let's Play School doll and playset. Coming complete with everything needed to transform any bedroom, play room, living room or more into a classroom, this playset puts all of the highlights of school into one place. 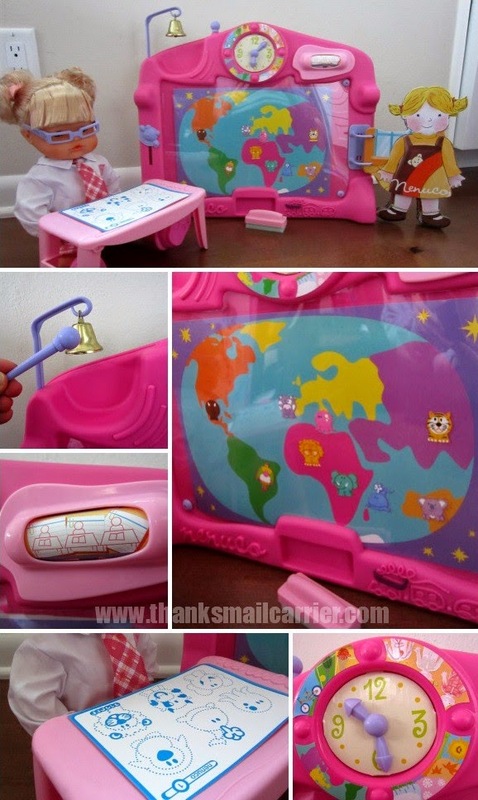 Including a 16.5" doll, lesson plans, a miniature desk, matching teacher and doll glasses and much more, the girls couldn't wait to ring the bell to signal that school was in session! Everywhere we looked, we saw adorable details that Nenuco had included to take this playset to the next level. The clock, bell, wipe-off board and crayons, stickers, spinning schedule, teacher name tag... it was all here! With lessons in everything from science to geography to math, my girls have had a blast planning out day after day of school. There are so many activities that they make sure to plan enough time for lessons, snacks, bathroom breaks, naps and more — and they love taking turns being the teacher or being a student over and over. Plus, what better way to be studious than by pulling on your glasses and being the best teacher you can be? Whether your child is anticipating heading off to school, they have dreams of growing up to be a teacher or you're just looking for a gift that is a little more unique than all the rest, the Nenuco Let's Play School by Famosa would make a wonderful addition to any young girl or boy's collection. 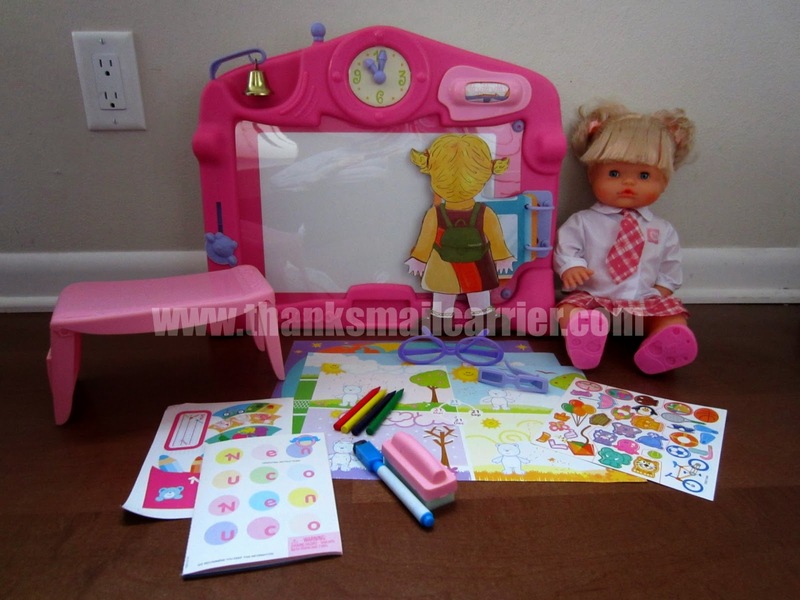 This is one doll and accessories set that allows kids to realistically emulate the role of being a teacher and all of the responsibility that comes along with it. And not only Nenuco has easily captured that creativity and fun with their Let's Play School set, but it can quickly and easily be packed up and brought anywhere! Available online from Amazon, national chains online and on store shelves now, this adorable doll and playset is recommended for ages 4+ and retails for $39.99. Find out much more about the full collection of Nenuco's dolls by visiting their website and connecting with them on Facebook, Twitter and YouTube. You'll also want to head over to Nenuco's Facebook page (as well as sister site, Pinypon) because Famosa is hosting giveaways there that you'll definitely want to enter! Other than the Nenuco Let's Play School that I was provided by Famosa in order to facilitate my review, I was not compensated or enticed to do this post in any way. This review is solely my honest opinion about this product. This is super cute! Definitely something I'll keep in mind with my daughter's birthday coming up soon. Great school kit. I like that it can be all put in a case. there are so many accessories with this doll. it is amazing. 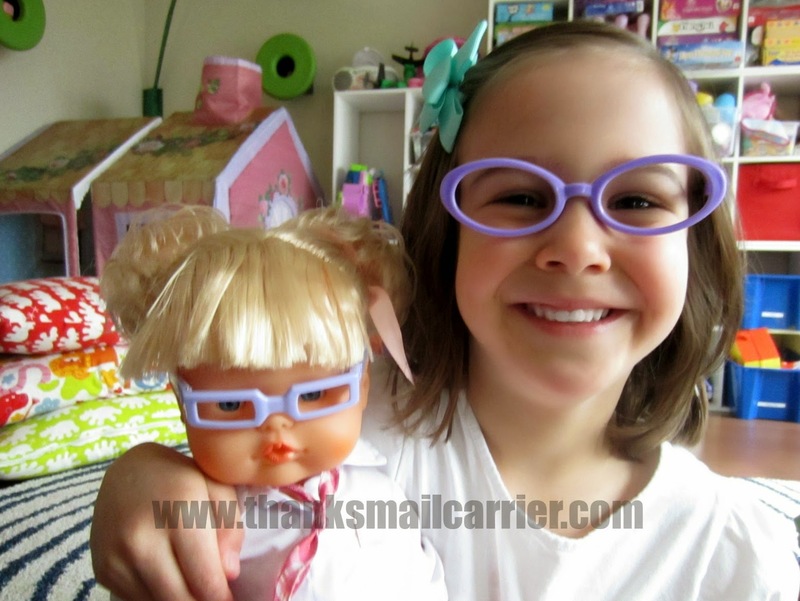 even glasses for the kids to wear so the doll and child look identical. so cute. this is great! like an affordable american girl doll.